Report of the media interactive session on reporting China, China-Africa Co-operation and China-Nigeria relations, held at the conference hall of the CCS on the 22nd of July, 2015 organized by the Centre for China Studies for senior Diplomatic Reporters and Editors, with the participation of the Political and Public Affairs Section of the Embassy of the Peoples Republic of China in Nigeria. 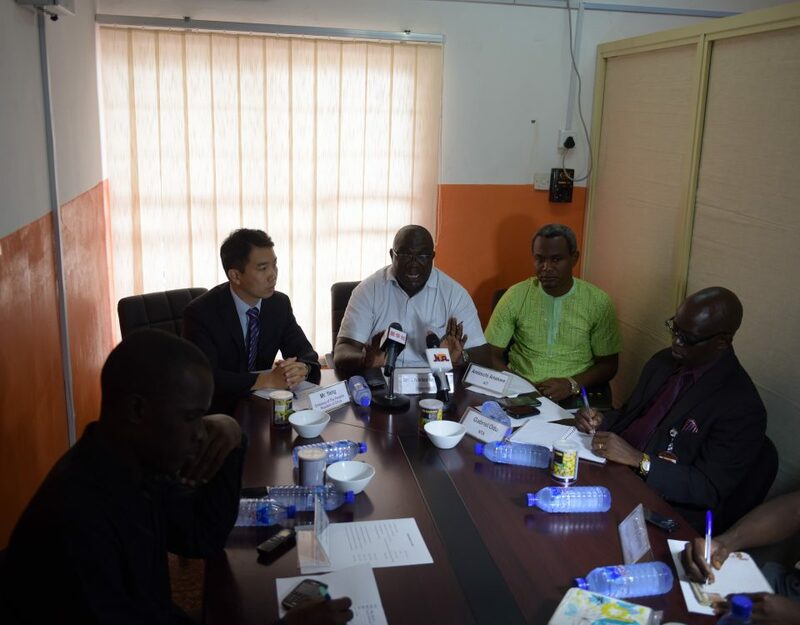 Mr Charles Onunaiju in his welcome address stated that the essence of the meeting held at the Centre for China Studies on the 22nd of July, 2015 was to listen to the media people in various fields present in the meeting to enable them express their various experiences in the coverage and analysis of issues relating to China, and her relations with Nigeria and Africa. The director of the CCS in his opening remarks said that China has its unique institutions and these institutions can only be appreciated on how it functions. The western media portrays a different image about China, and the Nigeria media has borrowed a lot from traditional media expression which does not give the reality about China, China-Africa co-operation and China-Nigeria relations. A lot has being said and portrayed on Western media such as one party state, authoritarian state and totalitarian state, but this does not apply in the analysis of China, it is not actually a one party state. China has institutions that develop and build consensus. Historically, China and Nigeria share common trends in the struggle against colonialism and now both countries are faced with the same challenge of development. Though China has suffered more in term of colonial exploitation and brutality, the country has been able to define the challenges they are being faced with. Nigeria is also struggling to define the challenges the country has gone through. However, it is very important for Nigeria media to develop language that has meaning with corresponding appeal to the country’s unique situation. Mr Yang, Director of Political Section of the Embassy of the Peoples Republic of China, in his Speech noted that In Africa, Nigeria is China’s major partner. China and Nigeria established diplomatic relationship on February 10, 1971 and Strategic Partnership in 2005. This Strategic Partnership between both countries marks the 10th anniversary this year, 2015. The bilateral relations between China and Nigeria has being of benefit to both countries and have also deepened their co-operation in various ways ranging from exchange of high level visits by Heads of State, mutual political trust and economic co-operation among others . In the area of Politics, Nigeria was the second country in Africa continent to establish strategic partnership with China. Chinese Premier H.E. Mr. Li Keqiang attended the 24th World Economic Forum on Africa during his visit to Nigeria in May, 2014. A total of 13 Agreements were signed by China and Nigeria during his visit to further enhance and promote bilateral cooperation in railway, aviation, power, agriculture, finance and energy between both countries. A special Envoy of Chinese President was invited to Nigeria on the 29th of May, 2015, to attend the swearing in ceremony of the President of Nigeria, Muhammadu Buhari. Both governments expressed their readiness to work together to promote co-operation and bilateral relations. Also, in the Economic area, Mr. Yang pointed that trade volume between both countries in 2013 reached $13.59 billion, accounting for 6.5% of the total China-African trade volume and $18.1 billion in 2014, which was an annual increase of 33.2%, thereby taking the lead for other major African countries. Nigeria was the first country to accept Chinese RMB Yuan as its foreign reserve and the largest market for Chinese project contractors. Nigeria was also the second largest market for Chinese exports, the third largest trading partner in Africa and the major destination for Chinese capital. In the areas of culture, people to people exchanges and academics, Nigeria was the first African country to establish a Cultural Centre in China and the Chinese Culture Centre was also established in Nigeria. 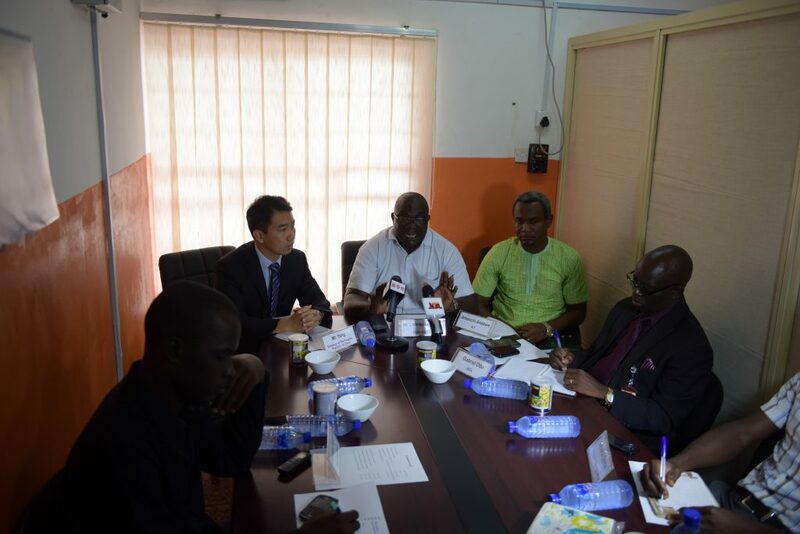 In addition, Nigeria Centre for China Studies was established in Nigeria in March, 2015.China established two Confucius Institutes and three Chinese language Centres in Nigeria. The country has also being providing government scholarships to Nigerian students since 1964 with more than 100 government scholarships given on yearly basis and at the same time more than 400 Nigerian students were funded by their family to study in China. China has trained more than 2700 Nigerian people in various programs. Nigeria and China also boast with large populations being the biggest economies in Africa and Asia. Both countries have a great potential to work in a wide range of fields such as energy, infrastructure, agriculture, manufacturing, aviation as well as IT technology. By September 2015, the leaders of both countries will have high level talk on bilateral and multilateral forum. journalists worldwide face various challenges. In 2014 alone, a total of about 16 journalists were killed worldwide. Moreover, in Nigeria, we tend to see direct threat to the lives of journalists which happens often. The major challenges faced by Nigerian journalists includes: poor remuneration and poor working condition, and issues of the ownership interest balancing the interest of the owner and the media house against national interest, brown envelope syndrome, threat and intimidation by big men and government, arbitrary arrest and detention of journalists and self-sponsorship. The challenges faced by Foreign Affairs journalists in Nigeria are less when compared to what happens in general to journalists in the country. The media, government and society seem not to apply so much emphasis on Foreign Affairs and issues of Diplomatic engagement. Partly because Nigeria is not yet a world power, the interest of the government and the public is limited to what is happening and events outside the shores of the country. Maybe when Nigeria becomes a world power, whatever happens in any part of the world will have direct influence on the country as a whole and only then will Nigeria begin to attach so much interest on Foreign Affairs and issues of Diplomatic relation. For instance, when reading through a newspaper, reports on diplomatic relations are usually found on the last page of the paper tucked away. The print media rarely make headlines on diplomatic issues and for broadcasts; towards the end of the bulletin they take about one minute or one and a half minutes just for a rundown of few major world events. In the specific challenge of covering China issues, Mr. Anakwe noted that peculiar problems are more of the gulf between journalists covering the news and the embassy officials. The need to establish interpersonal relationship is very important. Nigeria needs to create perfect relations with China. Such relations should go beyond official level to building trust and relationship, in that way the work of journalists are more enhanced. Another major issue is the practice seen within the embassy. The embassy relates news mostly about their activities in Nigeria. It should go beyond that level. Activities in China should also form the basis of their interaction with the press in form of press release. Things like the web chart, Skype sessions and teleconferencing with officials back home among others should be organized by Chinese embassy to allow journalist have direct interactions with China in other to enhance the interaction between Nigerian journalists and Chinese officials in China. Limited number of Non-Governmental Organizations and absence of civil society organization whose background is Chinese based, is a major fact. Though the Centre for China Studies was established early this year, moreover having one or two NGO’s for China limits the scope which one can explore to get person to provide further explanation coming not directly from government officials on what is happening in China. Mr Innocent Odoh of the Blue Print Newspapers in his own contribution suggested since both countries established formal relationship, efforts have been made to reshape and re-prioritize the relationship in various ways. The dominant attributes from the time of Nigeria relationship with China has always been how both countries can work together in other to help them in building themselves more from the shackle of colonialism. The media involvement in all this efforts is geared towards boosting the consciousness of Chinese and Nigerian people since the establishment of that relationship with China. But, in the comparative term, in terms of building national consensus and national values, the Chinese have made more appreciable strides in area of development with clearer perspectives and more harmonious efforts in national co-existence among its diverse components. He noted that in his opening remarks, Mr Charles made mention of a very important reference to some of the Chinese history that helped shape and nurture some of the political philosophy of China. One of the reference he made mention of was the Opium war, this Opium war was resistant war against the corrosive effect of the Western power to corrupt the Chinese public especially the youths. The consciousness of the Chinese those days was led by a very vibrant media which has its own way of annexing peoples’ potentials to rise against such challenges, to stand against any corrosive western influence. This has laid the foundation for the intellectual development that has become modern China today. The power of the media in propagating those ideals that had foundation, promoting healthy relation among countries of the world. In the area of institutional building, there are similarities between China and Nigeria. This is one area China needs to expose Nigeria to its literature and so many others, that will add advantage to the media practice in Nigeria. Nigeria is facing various challenges now ranging from insecurity, infrastructural development etc. The Chinese have built capacity in such areas, they have been able to muster enough courage that check both internal and external insecurity. This kind of exposure can help Nigeria media to report issues on how the Chinese people have built all the structures and system that have help to nurture peace, security and development in their own system. Chinese society in recent time have been subjected to all form of stereotype from the Western media ranging from human right violations, civic criticism of Chinese Socialist democracy portrayed by the Western media as a cruel society that constrain individual freedom. This is a very dangerous representation of China. Chinese Embassy should take note of this and ensure that this kind of narratives are countered and Nigeria should be exposed to the Chinese society to understand what is the Chinese cultural and political system and why is it attracting so much criticism from the West, why is the West judging China by its own standard? Nigeria needs to understand these perspectives and put it through their media; it is only through this co-operation that Nigeria will get better understanding of the Chinese system. Also, referring to the speech by Mr. Amaechi of AIT news, he made mention of the absence of civil society. Nigeria has not seen so much civil society organizations boosting relationship between both countries. This is one of the areas that need to be worked on. Mr Gabriel Odu of Nigeria Television Authority (NTA) in his contribution noted, looking at it from the communication technology perspective, Nigeria and China has robust relationship. Particularly, NTA has a very strong relationship with China and NTA is building world class studio across the country, across various networks and stations in Nigeria. And here in Abuja, NTA has built a world class digital studio built by the Chinese. Nigeria has a partnership called NTA Star-times. That is another level of collaboration where Nigeria has Chinese station in Nigeria. Nigeria has Star-times decoder where lots of Chinese movies, languages and music are being displayed to further deepen the relationship between the two countries. Nigeria has Hausa language translated into Chinese. NTA has a bureau in China and correspondent based in China which gives all reports on what is happening in China such as investment and political activities on daily basis from China. This shows that the relationship between both countries is robust. Nigeria has Beijing cultural Centre established in Beijing after the one established in Salvador, Brazil. Activities there are not been show-cased since its establishment. China should ensure that the activities in these Centres are displayed. • China cultural centre needs improvement. They should encourage people to go to their cultural centre so that they can know what is happening there. • Also the Chinese Embassy and China Cultural Centre should encourage people to learn more about Chinese culture, languages and as well let people know what they do and their interest to do more. • There is the need for China to project what they do to the world. • Nigeria should learn directly about China. Nigeria journalists should have interaction with Chinese officials, this will facilitate direct report on what is happening in China through Skype and chart sessions among others. 1. Nigeria media should have a platform where it can engage the Chinese Embassy officials. 2. Nigeria media practitioners should build an individual autonomous capacity to make independent analysis of China and independent coverage of China-Nigeria relationship. 3. It is very important for Nigeria media to develop language that has meaning with corresponding appeal to the country’s unique situation. 4. In the area of Foreign Affairs and issues of Diplomatic engagement where little attention is paid to, diplomatic correspondent can do something to address the issue. They should get together and create a platform to tackle it. Report of The Media Interactive Section At Centre For China Studies Abuja.